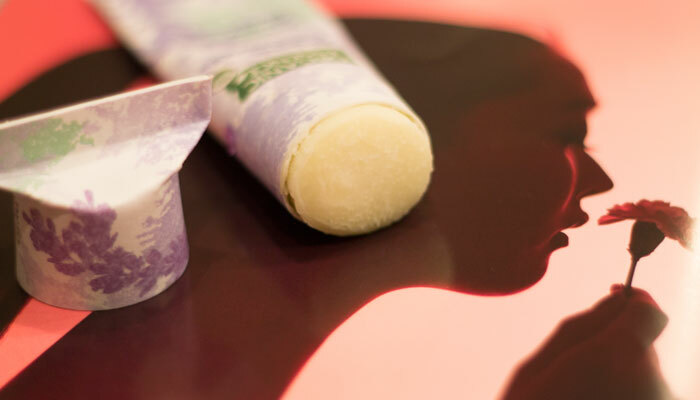 Not satisfied with the natural deodorants you’re using that come in a traditional plastic roll-on applicator? Can’t get over the thought of having to dip your fingers into a tub of creamy deodorant and massage it into your pits every day? Enter Organic Essence Organic Confidence Relentless All-Day Deodorant (phew, what a name!). It’s like a push pop for your pits. And doesn’t that smell fun?! You get a wonderfully effective natural deodorant housed in a beautifully designed, fully compostable (or recyclable) paper tube that makes it easy to roll on and fun to squeeze up product as you go. Available in seven comforting and stink-fighting scents, Organic Essence’s Organic Confidence Relentless All-Day Deodorant has something for everyone, including the green men in your life. I had the pleasure of testing the Lavender and the Lemon Tea Tree Mint scents (both $9.99), which were fresh, vibrant and calming. Each worked exceptionally well at keeping me stink-free, including during intense yoga sessions and a couple bike rides. Of course, I have my eyes set on the Jasmine Blossom when it’s time to restock my deodorant supply — I’m feeling very fortunate to have found such amazing nontoxic deodorant options that truly work! Organic Essence natural deodorants stand out to me a bit more because they contain no preservatives, artificial colors, petrochemicals and are hexane-free. These USDA certified organic deodorants are the real deal! With so many great, effective deodorants available, it comes down to ingredients, packaging and price when it’s time to repurchase. Organic Essence is definitely on my repurchase list, as I appreciate the high-quality ingredients, fair pricing and smart packaging that means I spend less time massaging in deodorant cream. However, that’s not to say that you are completely free of touching deodorant when you use Organic Essence. After rolling the deodorant onto your pits, if the temperature is warm enough, the coconut-based formula melts a little easier. This means that you will have a bit of buildup along the opening of the applicator. If you’re like me, will wipe all around the edges to remove it and, to not be wasteful, smear it into your pits. You could just wipe it down with a tissue if you are serious about not having to touch your deodorant and then wash the sticky feeling away, but why waste (especially if you are used to touching it anyway). You’ll also find that as you get through the deodorant and have to really practice your “push pop” skills, application becomes a bit messier and the deodorant may not apply as easily. Toward the end of my tube, I resorted to pushing product up, smearing it onto my pits and massaging it in because the paper applicator had lost its round shape (it was definitely more of a flattened oblong shape). Still, that didn’t really bother me because all my other favorite deodorants are creams in jars and touching deodorant isn’t a big deal. I’d repurchase this one to have a “normal” applicator deodorant on hand just because, and to minimize the use of plastic where possible. It’s nice to be able to recycle with my other paper goods or compost (OK look, I don’t compost, but my mom does) when it’s all done. 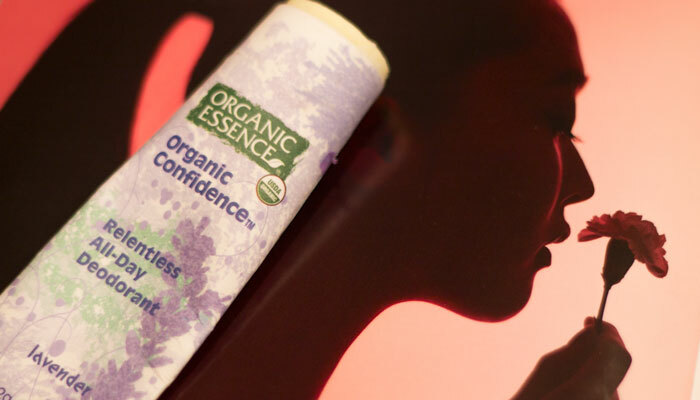 Have you tried Organic Essence’s Organic Confidence Relentless All-Day Deodorant? What features are important to you in a natural deodorant (besides, um, it working)? Are you sick of massaging deodorant cream into your pits? Tell me in the comments section!